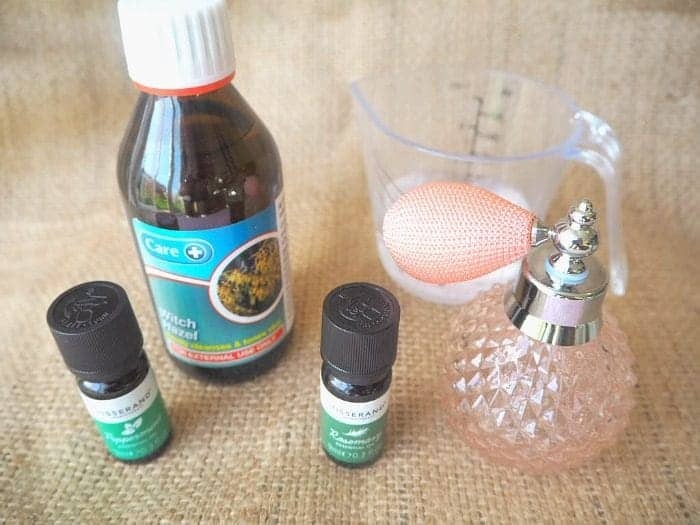 A couple of weeks ago I made my own essential oils room spray and I’ve been loving it but it was in an ugly plastic spray bottle that I found in the back of a cupboard so I was a bit reluctant to show it off! 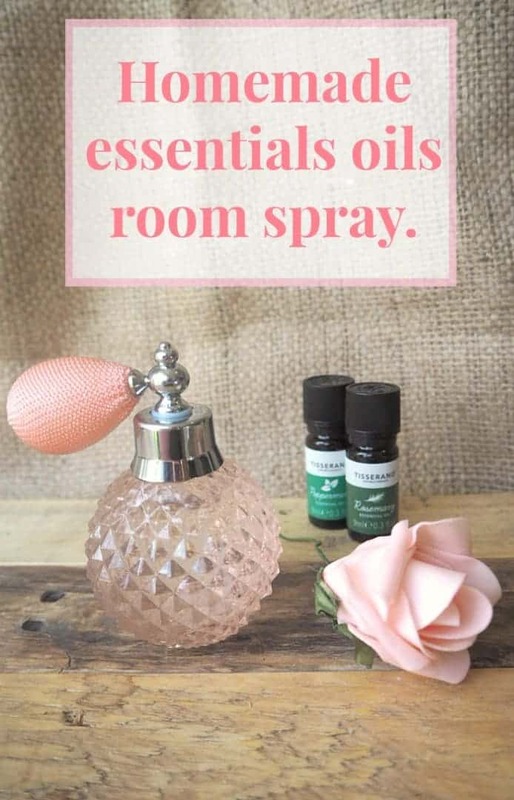 I did really want to share it with you though because my essential oils room spray has made my house smell lovely and I thought you all might love the fact that it contains no chemicals or toxins as much as I do. 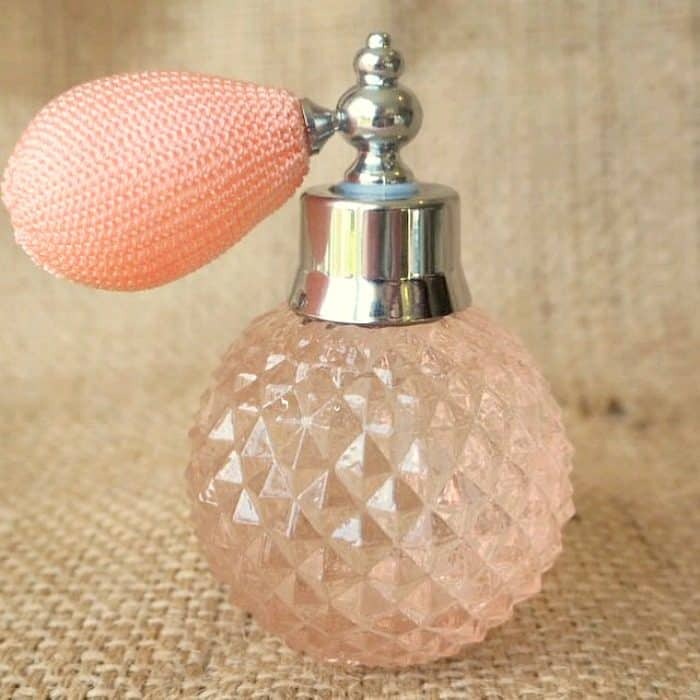 Once I figured out that I was an essential oils room spray fan, I figured it wouldn’t be a waste of money to buy something nicer than the ugly plastic bottle for the spray so I went on a hunt to find a cheap but pretty glass bottle instead. 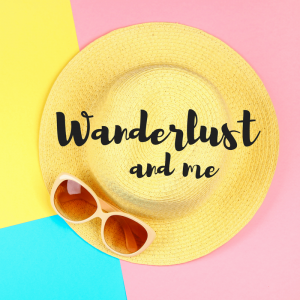 I found a load on Amazon here but they weren’t as pretty as I wanted (again, I know ;-)) so I had a search on eBay and found exactly what I was looking for…. Essential oils are available all over the place and there’s a great selection on both eBay and Amazon if you want to buy online cheaply but I actually bought my set of at TK Maxx where they were about £6 for the four I got. They also do them at my local chemist though for £1.30 each so I suspect I’ll be adding to my collection often! Pour the water and witch hazel into your spray bottle and then add between 20 and 30 drops of your favourite essential oil combination. 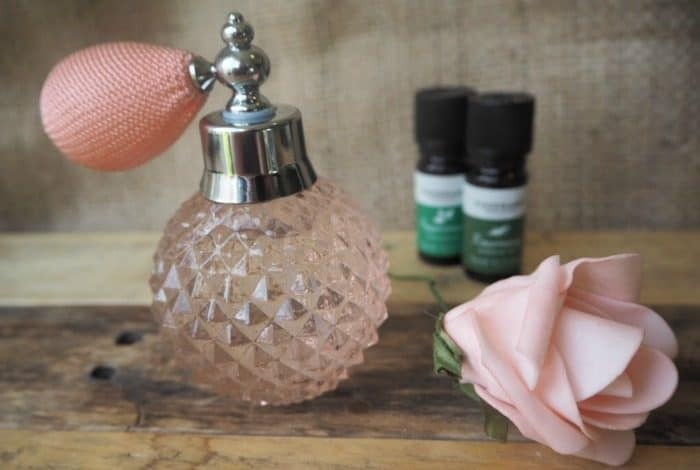 I’m a bit of a novice when it comes to essential oils but I did want my essential oils room spray to small uplifting and invigorating so I went for a minty blend using 20 drops of peppermint essential oil and 10 drops of rosemary essential oil. Once everything is on the bottle just pop on the lid and give it a good shake and your very own essential oils room spray is good to go. I spray into the air avoiding any furnishings because even though I’ve never had a problem, it’s a mixture with oil in it so it’s best to be on the safe side. If you want to refresh your soft furnishings then I have my amazing homemade febreze to do that with. PS. The witch hazel helps to disperse the essential oils throughout the water but it’s always best to give it a quick shake anyway before you use it. I'm going to see what scents are available locally. Got to be better than those awful plugins! I was eager to read this being a fellow essential oils aficionado. I have a homemade spray (made from rubbing alcohol, tea tree , peppermint and clove oils) that I spray on the mattresses in between linen changes to kill dust mites. Thanks for the room spray suggestion! Oh goodness! 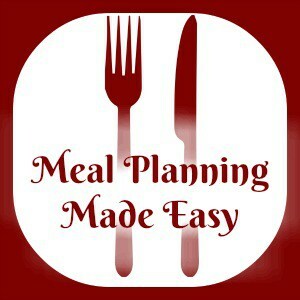 Who knew making your own was so easy? Thanks for sharing this, it's really useful as I love my rooms to be scented. Oh that bottle is gorgeous! Will have to try making some of my own room spray!